With the number of travelers increasing with each passing years, the demand for a well equipped bus service has increased. Bus travel has gained a very eminent position when it comes to travelling within the country. Bus reservation system has become an important part of the travel technology and travel portal development initiatives. 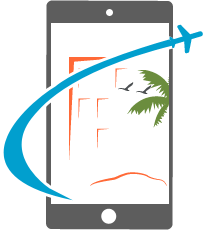 Travel portal development companies are working towards development of bus reservation system and mobile apps, which are user-friendly for the travelers and a source of revenue generation for the travel management companies. Our responsive bus booking system with mobile apps (Android & iOS), is specially customized for travel management companies, destination management companies, travel aggregators, B2B B2C travel agencies and tour operators to cater global customers. which is designed with the main intension of generating an automated system for ticketing purchase, with the help of an online booking system which would be easy to use. An online bus reservation system for your website would help in an easy management of reservation, ticket availability and data of the client who are using your online bus reservation service. The customized features that a travel management company can add to a bus reservation system includes route scheduling, display the data in regards to availability of the seats, availability of the seat map for the travelers and the option for the travelers to select their seat from the seat map. The Bus reservation system helps in the easy scheduling of the bus route with features like start destination, stop destination and end destinations. It also helps in managing the traveling time and bus schedules. The users would be most happy when they have the privilege to select the set of their choice. The same thought have been implemented for bus seat booking. This option would have the availability of seat map, giving the travelers with the option of selecting the seat of their choice form the available seats. 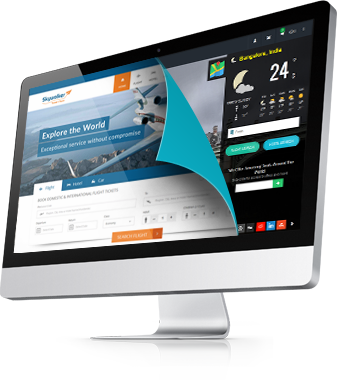 facilitates the travel management company with the option of managing tickets rates, managing discount, generating ticket template with the help of the editor available in the bus reservation software. The bus reservation system comes with the option of translating the script into multiple languages. This could be achieved by implementing a multi-language bar in the front-end, which helps in easy switching of the language. One of the most important features of the bus reservation software is the generation of the daily, weekly, monthly and yearly report. Some of the aspects of booking report are generation of time table and daily bus scheduling data, which help the travel management company to keep a track on their business. To stay ahead, bus operating companies across India, United States, Bangladesh, United Kingdom Africa and Middle East, are combining forces with bus software companies to set up best in class mobile based bus reservation solution. Choose the best travel technology company PROVAB TECHNOSOFT to stay ahead of competition.